For skiing, you need more than just a pair of skis. There's a lot of necessary and helpful ski items for Alpine skiing, without which you wouldn't want to head out on the mountain. Ski helmets are a must when out on the piste. 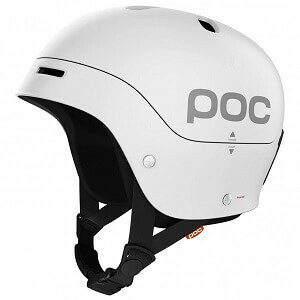 Ski helmets are ultra lightweight and warmly lined and protect the head from injury. With good ventilation and plenty of adjustment possibilities, there's no reason to be without efficient head protection. Back protectors minimise the risk of spinal injuries after a fall. For both snowboarders, as well as for use in the back country or jumping in the snow park, comfortable cushions made of foam are highly recommended. Snow glasses or goggles are available in countless variations with different lenses. Depending on the colour, they are either lightening, contrast enhancing or darkening. In any case, the ski goggles protect against drafts, winds and harmful UV radiation in the mountains. With flexible elastic cords, snow goggles from UVEX, Alpina, Julbo and Oakley fit comfortably with or without a helmet. High-quality ski boots are comfortable to wear and provide perfect fit and highest comfort in every situation for the skier. They also wick away moisture from the inside of the shoe and are of course waterproof. 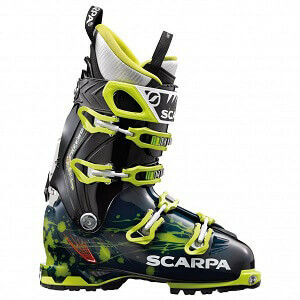 Alpine ski boots are different from touring ski boots or boots for ski mountaineers. Good adjustability and removable inner shoes are common in ski boots. For some people they are a big part of skiing, whilst others totally forego ski poles. On flat passages and the trails, however, skiers do not want to miss them, and they are indispensable in deep snow. Lightweight and sturdy models with comfortable handles and comfortable hand straps are available in both carbon and aluminium. Some models are adjustable in length, while others have a fixed length. Ski boot bags are perfect for carrying ski shoes. The bags fit perfectly to the size and shape of the ski boots and have comfortable carry handles. All skiers who travel with their ski gear should have ski bags and ski boot bags as they protect the high-quality ski gear from scratches and damage. You won't get far skiing without ski wax. Depending on how important the perfect glide is for the skier, you can invest more or less time on the care and preparation of ski coatings. There are different types of waxes for different temperatures and the respective snow texture, as well as peeling blades, brushes and waxing irons. Some people prefer a tube of all round wax, but for ambitious and experience skiers, a professional selection of wax is a must-have. There are ski tools for the home workshop, which provide everything you need for adjustments and fittings. For on the piste and on the move, a small toolkit with just the most important tools like a Phillips and a regular screwdriver will suffice. Ski touring backpacks are most similar to mountaineering gear with their volume and features. Ski rucksacks for alpine skiers are generally smaller because you just need enough space for snacks, a water bottle and a change of clothes. Ski rucksacks should be as compact and fit as closely to the body as possible so that weight can be carried close to the body and the rucksack doesn't get in the way on ski lifts and gondolas. Ski rucksacks don't need to be waterproof, but a rain cover as snow protection or a waterproof coating are advisable for skiers. As a part of the winter equipment, sensible ski clothing is the basis for a pleasant day on the ski slope. The most important is waterproof ski trousers and a warm ski jacket. Ski underwear or merino base layers form the base layer on the skin and breathable fleece sweaters ensure a pleasant temperature. Ski gloves and ski socks are very important for comfort when skiing and not an area where you want to skimp. Ski beanies are needed even with a ski helmet for warm head when you're not on the move. In extremely low temperatures and snow storms, ski masks protect the face from uncomfortable freezing.